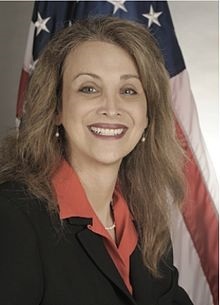 CHICAGO (March 13, 2015) – Amanda Simpson, a Defense Department official who is the first transgender woman presidential appointee, will be the featured speaker on the opening day of the LGBT Equality Institute on Friday, March 20. LGBT community leaders and allies, progressive advocates, civic officials, community groups and interested individuals will gather in Chicago for presentations on March 20-21 at the second annual LGBT Equality Institute presented by Equality Illinois in the Hyatt Regency Chicago. Topics at the conference will include transgender equality, safe schools, youth homelessness, healthcare access, faith organizing, immigration, federal and state initiatives, movement building, politics and much more. Simpson, Executive Director of the Army Office of Energy Initiatives, will speak about her personal and professional journey. Other speakers during the conference will include state Sen. Heather Steans, state Rep. Kelly Cassidy, and Jane and James Clementi of The Tyler Clementi Foundation. The full program can be found at www.eqil.org/2015-lgbt-equality-institute-program/. Patty Dillon, the Director of Field Operations for Equality Illinois, said the 2015 LGBT Equality Institute provides an opportunity for issue experts to share their knowledge on a broad range of topics and challenges facing LGBT Illinoisans and for activists to learn what they can do to help. Community sponsors of the 2015 LGBT Equality Institute presented by Equality Illinois are Lambda Legal, Human Rights Campaign, Illinois Safe Schools Alliance, AIDS Foundation of Chicago, PFLAG, SEIU Health Care Illinois, AIDS Legal Council of Chicago, Howard Brown Health Center, IL AFL-CIO, Anti-Defamation League, and UFCW Union Local 881. Registration for the March 20-21 event at the Hyatt Regency Chicago, 151 E. Wacker Dr., Chicago, is available at www.tinyurl.com/LGBT-institute-2015. Scholarships for individuals with financial need are available by contacting Patty Dillon at pdillon@eqil.org.